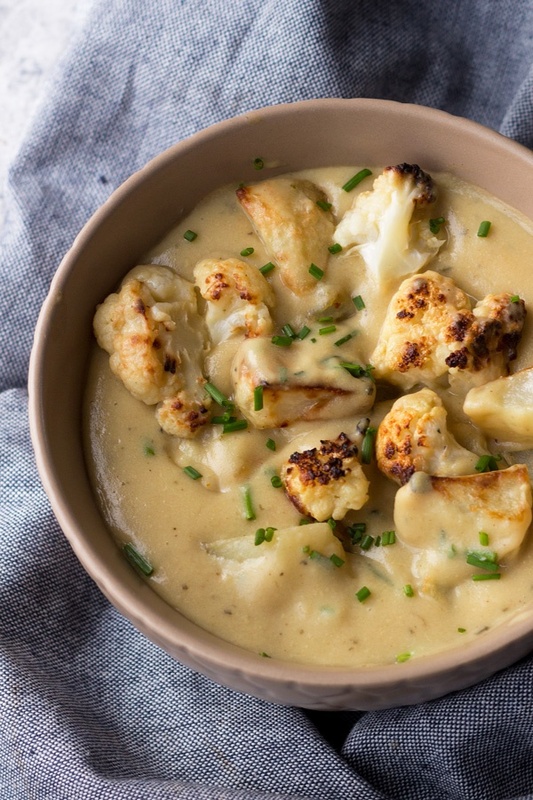 Cheesy Vegan Cauliflower Potato Soup By Giselle Rochford from Diary of an ExSloth. This cheesy vegan cauliflower potato soup is creamy, filling and bursting with flavour. It’s also gluten-free, Whole30 approved and requires just 1 hour and 10 ingredients.